Latest ObamaCare Delay an Attempt to Hold Down Rate Spikes? Megan McArdle posits three reasons why the Obama administration extended the enrollment deadline for purchasing insurance through Healthcare.gov, the federal ObamaCare exchange. The most interesting, and to my mind most plausible, is that pushing the deadline into mid-April will make it more difficult for insurers to calculate next year’s premiums. Originally, the Obama administration estimated it needed 40 percent of enrollments to be from young and healthy people to avoid rate spikes the following year. With the current mix stuck at only 25 percent, insurers are signaling that prices will go up next year to cover the likely costs of insuring an older and sicker population than anticipated. But with this extension the Obama administration is putting insurers in a bind. Do they assume the 25 percent number will hold and justify rate increases to state regulators using that assumption? Or do they wait and see if a last-ditch push to inflate the number of young and healthy enrollees reaches the magic 40 percent threshold? The dilemma for the insurance companies is just the most recent example of how bending the law for one group punishes another. True, many people won’t mind that insurance carriers are the ones holding the bag this time, but that just underscores the growing lack of resistance to arbitrary regulation. Today, it’s unpopular insurance companies. Tomorrow, it’s you. The Food and Drug Administration isn’t ready to embrace mandatory labeling regulations for foods made with genetically engineered ingredients, despite an aggressive push from lawmakers and advocates who cite health concerns. Testifying before a House panel, FDA Commissioner Margaret Hamburg told lawmakers this week that the agency remains comfortable with a 1992 policy decision concluding that food made with genetically modified organisms — or GMOs — is not materially different from other products. “We have not seen evidence of safety risks associated with genetically modified foods,” Hamburg said during a House Appropriations Committee hearing to assess the FDA’s 2015 budget request. She said the FDA is working on fresh guidance backing a voluntary system for GMO labeling, an approach critics regard as insufficient. Rep. Nita Lowey (D-N.Y.) criticized the FDA’s unwillingness to impose mandatory labeling requirements, saying the action is the least the government can do to give consumers more information about the food on their dinner table. Actually, neither of those statements are true. The labels could hurt people and the lack of labeling won’t. First let’s get some basics out of the way. What qualifies as a “genetically modified organism”? Have a purebred dog in your house? That’s one. A rose bush in your garden? Yep, that too. In essence, any living being that has been bred for certain traits is a genetically modified organism. What the critics are upset with are industrial processes by which companies can cultivate these traits in the lab instead of breeding for them over the course of generations. In 30 years of testing and commercial use in more than two dozen countries, genetically modified foods have caused not a single sniffle, sneeze or bellyache. This outstanding safety record is why the FDA does not require blanket labeling of such foods. It does, however, require labeling any time a food differs from its conventional counterpart in a meaningful way – such as a reduction in nutrients, the introduction of an allergen, or even a change in taste or smell. The science here is overwhelming — and has a decades-long track record. That’s part of what makes the labeling idea such a bad one. Proponents often brush the evidence aside and claim that, even if the produce is safe, consumers should know what’s in their food (though, in many cases, what’s in it is no different with GMOs than organics). But that’s not cost-free. There’s the price, of course, of actually producing the labeling, but the bigger potential cost is the loss of business that would occur if GMO labeling became pervasive. The point of labeling as a tool of regulation is to increase consumer knowledge. In this area, however, it’s likely that labeling would only fuel ignorance. The public is already poorly informed about GMOs. Mandating they be labeled — which gives the appearance of a warning — would only fuel fears that have no basis in science. Those who care the most about GMOs are those who are already eating organic foods — foods, it should be noted, that go out of their way to market themselves as an alternative to GMOs. In other words, the market has already solved their problem. There’s no compelling reason — as a matter of science or policy — for them to be allowed to brand the GMOs that feed hundreds of millions of Americans with a scarlet letter just because of their scientific illiteracy. We at CFIF have highlighted the grave flaws in two proposed Senate bills – Corker/Warner and Crapo/Johnson – that constitute defective efforts toward housing finance reform. Instead of proposing sensible free-market answers that could benefit taxpayers while adhering to rule of law, the legislation does neither. Rather, it reinforces the Obama Administration’s big-government overreach that disrespects our legal system and the people it seeks to protect. And by creating yet another new federal agency to regulate the mortgage market, Crapo-Johnson uses similar mechanisms that Corker-Warner does. In so doing, it maintains the same market uncertainty that Corker-Warner does, without any guarantee for future investments into the government-backed agency. So why are legislators designing a new system that risks a fragile housing recovery, creates explicitly guaranteed supports for new government-sponsored enterprises, relies on phantom capital, and recklessly endangers the public? Perhaps the answer is the housing industrial complex — that web of affordable-housing groups that want to deliver loans to “underserved” markets, lenders and other private participants that profit from higher mortgage volumes, and the politicians who like the illusion of homeownership. Video: Will IRS Lawlessness End ObamaCare? In this week’s Freedom Minute, CFIF’s Renee Giachino explains how a pending lawsuit challenging certain ObamaCare IRS subsidies not explicitly authorized in the Affordable Care Act could doom the entire health care law. In an interview with CFIF, Leon Aron, Resident Scholar and Director of Russian Studies at the American Enterprise Institute, discusses how far Russian President Putin will go in Crimea and other parts of the Ukraine, what will stop him, and the impact, if any, of sanctions imposed by the United States. Viewed in the most favorable light, the Obama administration’s decision this week to extend ObamaCare’s enrollment deadline into the middle of April is a measure of justice to people forced to buy health insurance but unable to complete the transaction because of lousy government websites. Simply put, it’s just wrong to penalize people for failing at a task the government makes it impossible to do. However, for every person receiving his due there are others getting the shaft. For example, consider all the people who diligently signed up for coverage last fall, spending hours surfing through glitch-prone websites and incoherent call centers, all because the Obama administration swore up-and-down that insurance had to be purchased by mid-December if coverage was wanted on January 1st. And then the deadline was extended. Recall that millions of people lost their individual and family plans because they didn’t comply with ObamaCare’s heightened benefits mandates. Responsible customers swallowed hard and leapt into an ObamaCare exchange because the government said so. And then the Obama administration decided not to enforce its own law. And let’s not forget the insurance companies, business owners and tax experts who spent thousands of hours trying to comply with ObamaCare’s deadlines and mandates only to watch those who did little or nothing to prepare get rewarded with delay after delay, or as we used to say during the last Bush administration, bailout after bailout. So while it is true that it’s unjust that people should be penalized for government’s failures, it is equally unjust to punish those who are trying valiantly to play by the rules but then get hosed by last minute changes. The takeaway here is that the implementation of ObamaCare is destroying the incentive to take the government at its word. If this becomes its legacy, the law will be far more destructive than anyone thought possible. The road to underemployment is paved with (so-called) good intentions. In case you missed it, the Obama Labor Department is trying to raise the compensation threshold so that managers making at least $50,000 annually will qualify for overtime pay. The current threshold is $24,000. To the liberal mind this policy change can only benefit workers by putting more money into their pockets. But to actual business owners like Andy Puzder, the real world consequences will mean less money and less work for the very people the Obama administration is trying to help. Writing in the Wall Street Journal, Puzder – the CEO of several quick service restaurant chains like Carl’s Jr. and Hardee’s – notes that current managers are eligible for performance bonuses of up to 28 percent of their salary. But if the new overtime rules go into effect, many of these will lose their managerial status and go back to hourly employment. Along with being demoted, they will very likely be assigned less hours to work to avoid triggering more expensive overtime pay. And for those that do qualify, their raise will translate into less money for the store’s operating budget, meaning less hours for someone else. In a very tangible way, the Obama Labor Department’s new overtime rule seems destined to exacerbate the underemployment crisis in the American economy. How is is that the people proposing this can be so short-sighted? 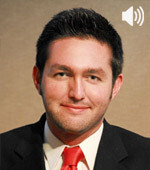 5:30 CDT/6:30 pm EDT: David Williams, President of Taxpayers Protection Alliance – FCC and the First Amendment. Softbank CEO Masayoshi Son came to Washington a week ago to discuss “the state of America’s wireless communications industry and the competitive global landscape.” Despite being Chairman of one of the top wireless companies in America, Sprint, Mr. Son spent the majority of his speech at the U.S. Chamber of Commerce explaining why he believes the U.S. telecom market falls short. The data we’re looking at, however, tells a far different story. As an initial matter, peak mobile speed in the U.S. actually doubled from 7.5 to 15 megabits per second between 2012 and 2013, despite the fact that the U.S. is the clear leader in LTE connections. We make up 50% of the world’s LTE connections, while only constituting 5% of the world’s overall wireless connections. That data stands in stark contrast to Mr. Son’s claim about lagging LTE speeds in the U.S., particularly in comparison to Japan. His data derived from anecdotal evidence from mobile users who voluntarily download an app from OpenSignal to track data signal strength. If he wants to trust that methodology, however, Mr. Son should consider another OpenSignal study claiming Japan had one of the slowest LTE experiences. Moreover, American consumers reap the benefits of faster connections for education, health and entertainment at a lower price point. Americans use their mobile devices significantly more than their European counterparts, with five times more voice minutes and twice as much data. Despite that, in terms of data alone, the price per MB has fallen more than 93% in the past five years. That is also reflected in the broadband space, where the U.S. maintains the lowest entry-level price of any OECD country, and that price continues to drop as measured on a per-MB basis. Most significantly, the U.S. telecom industry has achieved those gains with comparatively fewer burdensome regulations. Unfortunately, the US company in which Mr. Son now has a significant ownership stake, Sprint, seeks to exploit government intervention and corporate welfare to prop it up against its competitors. Despite its status as the “king of spectrum,” Sprint wants the Federal Communications Commission (FCC) to set rules for the incentive auction that would artificially favor Sprint and T-Mobile while limiting the ability of AT&T and Verizon to freely bid on coveted spectrum just as a spectrum crunch looms. Additionally, despite using spectrum in the 2.5 band for its “enhanced” LTE network, Sprint doesn’t want the FCC to count all of its 2.5 spectrum in the spectrum screen. Keep in mind that the standard for inclusion is suitable and available for mobile broadband use. In the end, Mr. Son is right: America’s wireless market is not Japan’s. Not only are Americans enjoying faster speeds at lower prices, our wireless companies are achieving that by competing in our comparatively free market. That’s how America’s wireless market was built in the first instance, and that’s the model it should keep in order to continue our global leadership position. Last week, we highlighted an important House Judiciary Intellectual Property Subcommittee hearing on the Digital Millennium Copyright Act’s (DMCA’s) critical “notice and takedown” provisions. The hearing provided the opportunity for lawmakers to promote a modernized, voluntary and necessary campaign to achieve the DMCA’s underlying goal of fighting Internet piracy and intellectual property theft while maintaining an open Internet. Fortunately, there’s good news to report one week later. Almost every member of the Committee, Democrat and Republican alike, concurred that private industry actors must undertake voluntary, market-friendly efforts to correct the massive and improper scourge of online piracy and IP theft. That is, after all, the purpose of the DMCA structure itself. Notably, the hearing featured persuasive testimony from Grammy-winning musical artist Maria Schneider, who shared her real-life experiences to illustrate the problem to be addressed. Ms. Schneider explained how she actually often spends more time and effort removing pirated copies of her performances than she does in the creative process. In fact, she testified that her battle has cost her over $100,000, and she provided a demonstration of how difficult it is to remove one’s own stolen property from rogue websites. Ms. Schneider also noted that when YouTube actually agrees to remove pirated material, it unhelpfully posts a scowling frustrated-face icon with the banner “This video is no longer available due to a copyright claim by Maria Schneider – sorry about that.” That suggests that Ms. Schneider or others who simply seek to protect their hard work and property rights are somehow culpable for the situation, and it certainly doesn’t suggest respect for the rights of creators. It is therefore critical, as Ms. Schneider noted, that websites, service providers and other market actors more effectively educate consumers and anyone uploading content about the dangers and costs of piracy and IP violations, and make greater efforts to confirm that content being uploaded is done legally. The current “whack-a-mole” routine is neither effective nor justified. But through voluntary, market-based, common-sense practices, we can collectively combat online piracy while protecting the rights of creators and consumers alike. It was good to see the Subcommittee hearing result in steps toward that beneficial end. 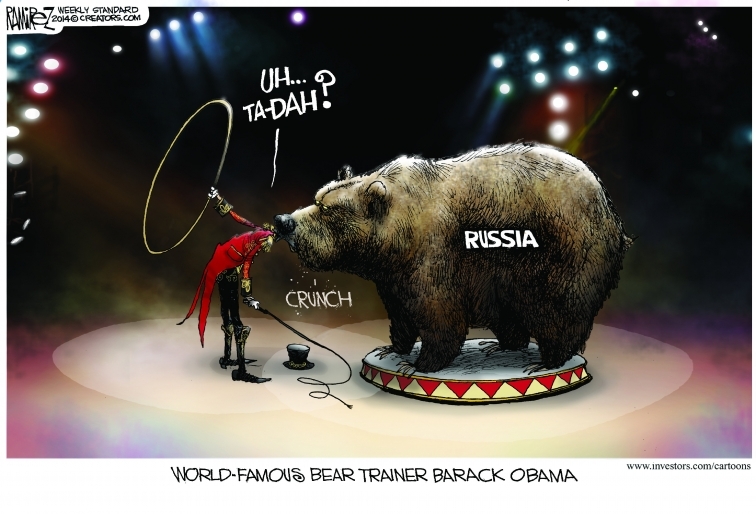 Senik: Will the 2014 Election Yield a Republican Senate (Part 1)? Ellis: Gowdy’s ENFORCE Act: Obama’s Last Chance to Avoid Impeachment? First the feds, now the states. “To be clear, the state says it’s not an extension of the open enrollment period scheduled to close March 31. Only Marylanders who made an attempt to enroll by March 31 will get more time if they call a state hotline by that day. All four insurers selling on Maryland’s exchange agreed to the special extension,” explains the Washington Post. Oregon and Nevada are also weighing whether to grant extensions for enrollment. Like Maryland, their residents have found it extremely difficult to complete the sign-up process for subsidized ObamaCare plans due to glitch-prone public websites. Of course, anyone who’s watched the news since last October knows that the federal exchange – Healthcare.gov – has been notoriously difficult to use. So perhaps it’s no wonder that the Obama administration is considering granting its own extension to allow enrollment to continue after the original drop-dead date. Granted, it’s not an individual’s fault that a government’s website is impossible to use. And it’s unfair in the extreme to turn around and penalize the same person when a government-imposed deadline passes without the mandated sign-up. But perhaps news of an extension would be easier to swallow if it wasn’t grouped with more than 30 other intentional delays that further complicate the law. The news of enrollment extensions isn’t surprising. In its most basic elements, ObamaCare doesn’t work. But for its supporters propping it up with all kinds of extra-legal maneuvers, the law would collapse under the weight of its failed promises. Troy Senik, CFIF Senior Fellow, former speechwriter for George W. Bush and senior editor of Ricochet, discusses First Lady Michelle Obama’s push for new FDA nutritional labeling guidelines and the lessons learned from California’s regime of high taxes, oppressive regulation and rampant litigation. The Hill is reporting that ObamaCare’s politically-motivated delays may come back to bite Democrats this fall. The spikes are coming primarily for two reasons. First, the percentage of young and healthy people enrolling for coverage is too low to off-set the cost of care for older and sicker enrollees. Second, insurance companies don’t trust the Obama administration to follow the law. Delaying parts of ObamaCare that force people to do things they don’t like – such as pay more for less generous plans – feels good politically, but it skewers carefully laid business plans that rely on the government to faithfully apply its own regulations. After watching the Obama administration change the rules at the eleventh hour this year, insurance companies are hedging their bets by passing the costs of arbitrary regulation onto consumers, starting with next year’s premiums. The Democrats’ midterm dilemma is really a refusal to engage in delayed gratification. 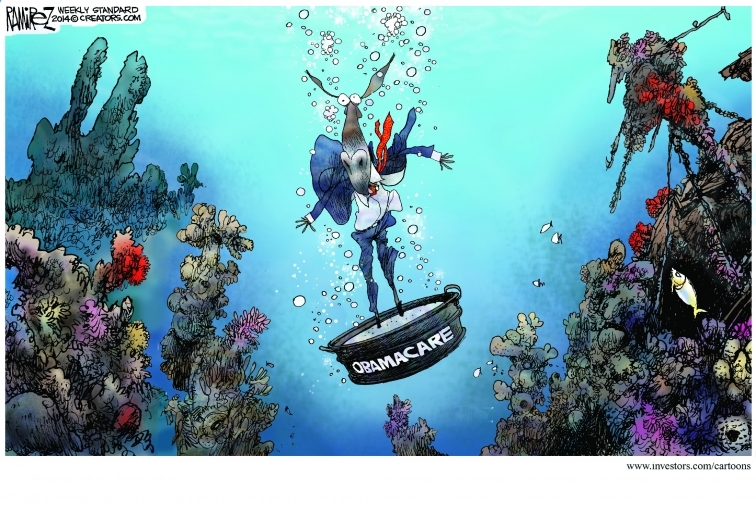 Had the Obama administration stood firm and applied the law as-is, an entire year would have elapsed before the party that passed ObamaCare would be held accountable. By then, people might have grown used to the frustrating parts of the health law, much like they have with the never-ending delays. But now, fiscal reality is staring Democrats in the face. And thanks to their backstabbing of the insurance industry, they have no one to blame but themselves. California’s ObamaCare Exchange Expands Coverage, But at What Cost? There is a lot of misreporting with ObamaCare numbers as the open enrollment period draws to a close March 31. Consider these two examples from California. First, Covered California – the state’s ObamaCare exchange – announced recently that more than 1 million people had applied for coverage and chosen an insurance plan. Liberal bloggers at the Daily Kos are cheering this news as a triumph. Before the enrollment period began last October, the state set as a goal 696,000 enrollments by the end of March. At 1,018,315 as of the end of last Saturday, ObamaCare supporters think they are 300,000 over their goal. Except Covered California isn’t anywhere close. Look again at the goal and the announcement. California wants at least 696,000 people to be enrolled by the end of March. To date, they have over 1 million people who have applied to be enrolled. That’s not the same thing. In fact, in speaking recently to a source at Medi-Cal – the state’s Medicaid program – I was told that thousands of applications are in limbo across the state because computer systems at the state and county levels don’t talk to one another. This impacts Covered California’s numbers because many of the uninsured applying for insurance through the exchange qualify for the state’s expanded Medicaid program. To compensate for the technology failure, caseworkers are processing emergency requests by hand. So to recap, don’t be fooled by news about applications posing as enrollments. The other example of misreporting is on the type of coverage most enrollees are choosing. The most popular plans also cost the least. That’s not surprising since ObamaCare requires people to purchase health insurance or pay a fine. On one hand, the increased number of policyholders does allow ObamaCare supporters to say the law is covering more people. But at what price? “[E]xperts worry plans with lower premiums could come with a different cost: Fewer doctors and hospitals could mean fewer choices and longer waits for care,” reports the San Jose Mercury-News. Lower premiums also mean higher out-of-pocket costs. I’ve written previously about how reporting on lower-than-expected premiums ignores across-the-board spikes in deductibles. The IRS says that annual deductibles larger than $1,250 should be considered high. On California’s exchange, it’s common for the lowest priced plans to have deductibles in excess of $2,000 annually (and some as high as $4,500 or more). When all the dust settles after March 31, it’s very likely that California won’t have hit its enrollment goal, and that of the enrollees it does have many will come to loathe the longer wait times and higher costs. Maybe then we’ll get more help from journalists in how ObamaCare insurance actually works. But probably not. The Senate Banking Committee’s chairman and its ranking member – Senators Tim Johnson and Mike Crapo, respectively – released their version of housing finance reform on Sunday. Unfortunately, their bill largely duplicates the problems already found in the proposed Corker-Warner legislation. Both proposals – focusing on Fannie Mae and Freddie Mac, the two behemoth government-sponsored enterprises (GSEs) – have been touted as a bastion of bipartisanship, but both fail miserably at upholding the rule of law or the rights of property owners. Further, the proposal continues to disregard investors’ rights – the community banks, pension funds and individuals that supported Fannie and Freddie, before, during and after the bailout. Under Crapo-Johnson, those investors remain left out in the cold, their savings and retirement in limbo. Meanwhile, taxpayers would remain on the hook because the full faith and credit of the U.S. government would backstop the newly-created entity under Crapo-Johnson. Since becoming profitable in 2012, Fannie and Freddie have not only made taxpayers whole, they’ve made the government billions of dollars following confiscation by the Treasury Department. Instead of following the rule of law and marketplace standards, Crapo-Johnson would codify that illegal taking and perpetuate the federal government’s dangerous habit of undermining property rights and sowing uncertainty. That’s not what our housing market, or our economy generally, need. 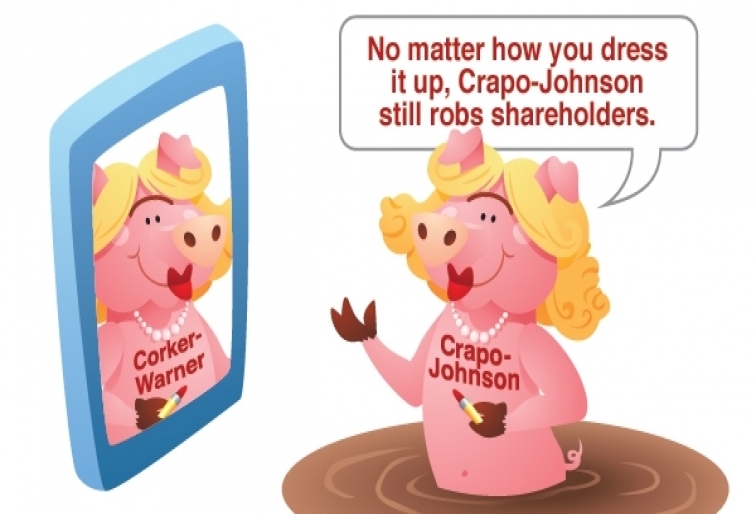 You can try to put lipstick on a pig, but you’re not fooling anyone: Crapo-Johnson is more of the same.